Compact Speed Trailer for Public Safety - Wanco Inc.
Wanco’s Compact Speed Trailer for Public Safety has the largest portable speed sign available today. 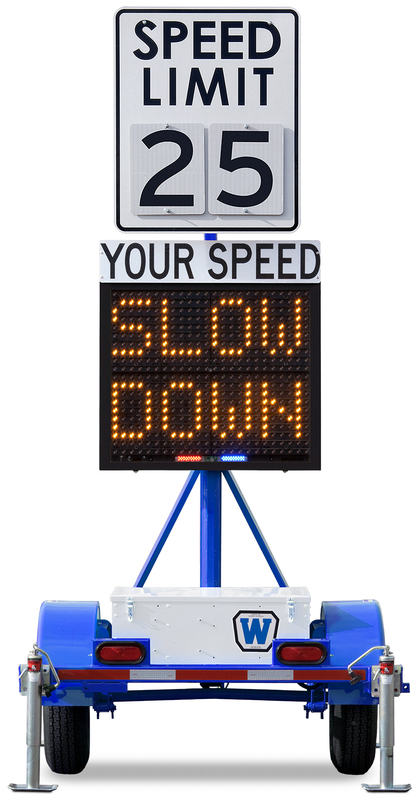 Designed for public safety and law enforcement agencies, the giant display shows vehicle speed in bold 26-inch characters, warning motorists to slow down by flashing their excessive speed. The trailer’s see-through design puts pedestrians in view, improving their safety — particularly in high-risk areas. The automated solar charging system provides long run times.